When I click ‘Save’ the request times out after 15-25 seconds. The output below is what I get from Chrome’s developer tools: (I have checked the log files located in [my-bench]/logs for clarity on what is causing the issue with no success). Please help. Thanks in advanced. Hi, hoping to get some assistance here, thanks. 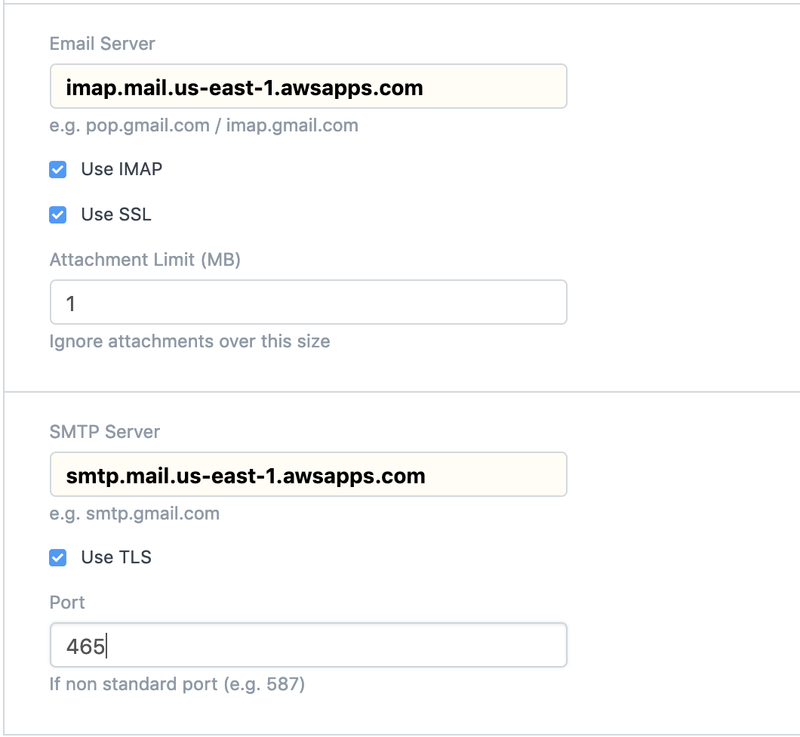 Connection to imap.mail.us-east-1.awsapps.com 993 port [tcp/imaps] succeeded! Connection to smtp.mail.us-east-1.awsapps.com 465 port [tcp/urd] succeeded! I also tried telnet to these endpoints/ports and it worked as well which suggests it may not be a network access issue. Maybe AWS’s workmail doesn’t allow just about any app to connect to it? 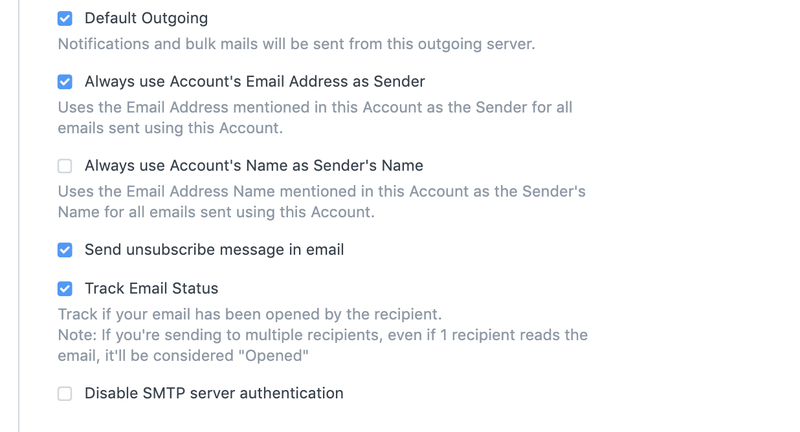 I managed to set up an outgoing email account by using SES’s SMTP service instead of straight workmail servers and credentials. I also noticed that if you use port 465 (as advised by AWS’s setup instructions) the request times out. Whereas with SMTP service from SES you have the option to use port 25, 587 and 465 (I used 587 over TLS). I am facing same issue with amazon workmail. Can you please help me how can I use SES and how do we configure that in ERPNext for outgoing email. You first need to create SES - SMTP credentials. Go to you AWS console -> SES -> SMTP Settings -> Create My SMTP Credentials. Save them in a secured location. Leave the below as is. I hope it helps buddy, this is only for outgoing email. 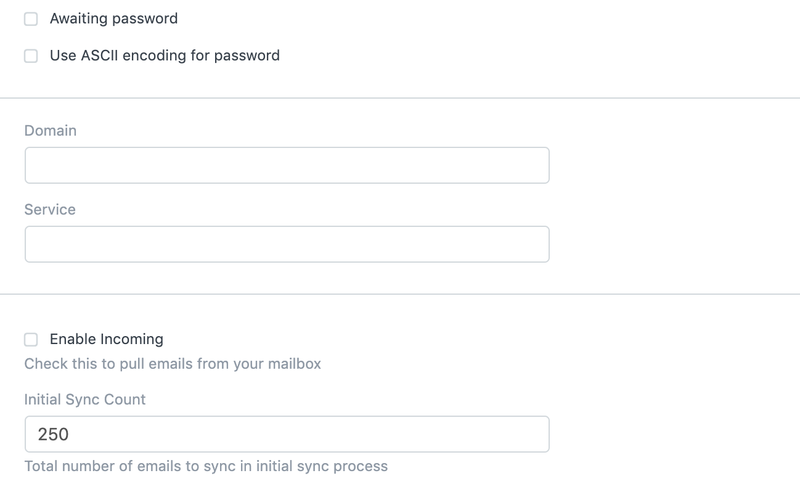 Also, keep in mind that AWS sets you account to “Sandbox” mode, meaning you have limited features like 200 emails per day, only allowed to email registered email addresses/domains and a few more… You can later request AWS to move you out of the “Sandbox” but you need to complete some requirements… That is a different process.